We are facing one of the most severe outbreaks of DON in corn that we have ever seen, and some areas of the province are being hit especially hard. I understand the feeling of frustration that you, our farmer-members, have with this issue. 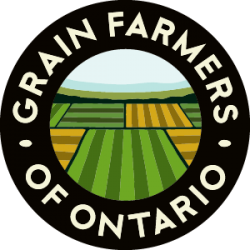 You want to know that Grain Farmers of Ontario is at work on your behalf, and you want to know what we are doing. Read the rest here. NOTE: This is not the survey. Please submit your email address above, and the survey will be emailed to you. One of the hurdles we face is the lack of reliable information on the extent and impact of the problem. While we have heard from many of you, and we know that the situation is serious, we need a more quantifiable assessment to make our case to government. This is why we are asking you to help us in gathering this critical data. Read the email to all members. Agricorp: What Happens After DON Damage is Reported? November 14, 2018 The corn salvage benefit for 2018 covers cases where DON levels in harvested corn exceed five parts per million (5 ppm). 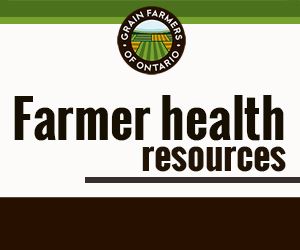 Some of these resources were shared in an email to all farmer members on October 31, 2018. You can read it here. Additional resources will be included as they are published by the Field Crop News team.